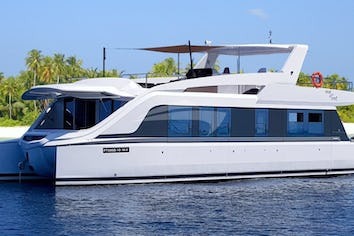 DHONI STELLA I & II are Maldivian luxury dhonies, each with just two cabin-suites, catering for 2-6 passengers and available for private charter only. Maldives enthusiasts will experience a really unique holiday, sailing the archipelago with their family or with another couple aboard a genuine and charming traditional boat. 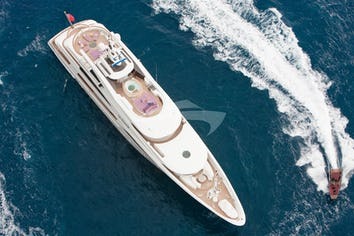 DHONI STELLA yachts are wonderful combinations of classic and modern style. Built by using mainly local wood, the finishing touches bring you back to a time of simplicity and elegance, nostalgic of the antique boats on which these cruisers were modeled; though the modern comforts of holiday luxury have certainly not been forgotten. Setting ourselves apart from the other cruisers available in the archipelago, where passengers share the boat with other tourists and follow a pre-planned program, DHONI STELLA guests are free to design their own cruise. You choose the destinations and activities that suit you, including: scuba diving, surfing, snorkeling, fishing, islands hopping and more. DHONI STELLA I accommodates up to 4 guests in 2 cabins, one with 1 double bed and the other with 2 twin beds. 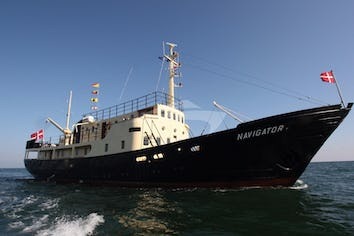 DHONI STELLA II accommodates up to 6 guests in 2 cabins. Both the cabins have triple capacity with 1 double bed and 1 single bed. All the cabins are individually air conditioned and have shower and toilet. Crew has a separate companionway, heads and shower. Divers are required to submit a diving certificate and a valid personal diving insurance. Maximum number of divers on board: 4. Diving courses and equipment rent are available on request. The dining experience on board DHONI STELLA allows you to enjoy a terrace on the sea in the most comfortable and luxury setting, whether it be open to the fresh air and sun, shaded by the curtains or sheltered by canvas. DHONI STELLA's kitchen boasts some of the best Asian-Fusion dishes on the waters of the Maldives and our crew brings you the best of the best restaurant experiences in the islands. Our yachts offer a range of delectable dining choices for breakfast, lunch and dinner. Breakfast and lunch are served half-buffet style, while dinner is a 4-course meal as per your choice of dishes on the daily menu. From seasonal fruits, to your own catch-of-the-day’s sashimi and Maldivian delicacies, DHONI STELLA’s chefs prepare international cuisine with an Asian flair or the most traditional Western and Italian dishes to your taste, all while cruising the Indian Ocean. Water, soft drinks, tea and coffee are included in the full board option and a selection of wine and beer is available for purchase. Myself and Kate have been to the Maldives before. It’s a wonderful place full of stunning resorts, but you probably already know that. However there is so much more to enjoy in the Maldives than just a luxury room with a powder soft white beach directly outside your door. Let me tell you about our holiday. I received a questionnaire about our preferences for food, drink, activities, in fact just about everything that I might want to give my opinion on. This was a nice touch. Once on board, a quick look around the boat confirmed that it is exactly as described and in fact bigger than the photos suggest. The food was fantastic and varied - Maldivian, Italian, English - a lot of fresh fish, fresh fruit, beautiful curries. It is quite remarkable what can be produced from such a small kitchen in the middle of the Indian Ocean. The service from the steward was exemplary, he really did make a difference. From serving breakfast in the morning, to ensuring the air conditioning in the bedroom was on at night, his attention to detail was faultless. The boat itself has a rustic charm not found on modern super yachts. Solid and homely, it’s deceptively large compared to the photos. The bedrooms (there are two) are 5 metres x 3 metres with a small en-suite shower room that is perfectly sufficient. The dining area, which is at the front of the boat, is open, cool and features a large solid table that can seat six. At the back of the boat there is a platform that is used for diving and fishing. There is also a small dingy that is used for visiting islands and fishing in the evening. In the evening the crew tend to stay at the back of the boat giving guests complete privacy, just in case you were wondering! So is Dhoni Stella for you? If you want freedom, excitement, adventure and a small amount of indulgence, then yes, it probably is. I’ll put it like this. After spending 10 fantastic days on Dhoni Stella, I really don’t think I would want to be trapped on an island for a full holiday again. Would I go back? Yes, tomorrow if I could and almost certainly next year to sample the delights of what the Ari Atoll has to offer.